As we know, the cup was not taken from him. Jesus then suffered arrest, isolation, humiliation and an excruciating death. Are we then to blame Abba, our Father too, for the crucifixion? Did he ‘make Jesus die in reparation for our sins’ as people sometimes say? This question – the problem of atonement – is possibly the most difficult in all theology. Even Cardinal Joseph Ratzinger, the Church’s top theological official in 1997, asked “Why does God reign from the Cross?” Dean Andrew Furlong of the Church of Ireland admitted in 2002 that he could not accept any of the classical theories of atonement – one of his reasons for rejecting Jesus’ divinity. Atonement means simply ‘at-one-ment’: the coming together, or reconciliation, of ourselves and God. So the problem of atonement is to understand how Jesus’s passion and death bring us humans and God together. It is also the problem of understanding what could be called the necessity of the cross. The earliest theory of atonement, the one probably held by all the apostles, was that in some sense we humans had been enslaved by Satan, and that Jesus’ death had somehow purchased our liberty. However, in the Middle Ages theologians came to doubt that any debt to Satan could have warranted such a high price. One of them, St Anselm, proposed another theory, the satisfaction theory. To understand this we need to remember that in the middle ages people were very unequal in dignity or ‘worth’. The king at the summit of the social pyramid was held to be far more ‘worthy’ than the barons and knights, who were in turn far more worthy than the farmers and peasants or serfs. So, for a serf to steal from a king was a far more serious matter than for a serf to steal from another serf. In order to make good the injury to the king the serf would have to pay a far higher penalty, so that the debt to him would be satisfied. St Anselm pointed out that God is at the summit of the heavenly pyramid, so that every sin we commit is an extremely severe offence to Him. He taught that no matter how much we may suffer for our sins, we are incapable of paying the full price of making good the injury, as we are so much less worthy than God. So Jesus died to make up the difference – because his life was worth so much more to the Father. In that way humanity’s debt to God was satisfied. Although other theologians have argued against this, in the absence of anything more persuasive it became a standard explanation for the crucifixion. In the highly rated Alpha programme devised for evangelisation in our own time by the Anglican Church, a very similar explanation – the substitution theory – is used. Nicky Gumbel tells the story of two friends separated for many years who meet one another eventually in court. One is the defendant who has committed a crime for which a heavy fine has to be paid – so heavy that he cannot pay it. The other is the judge, who must find him guilty according to the law. The judge does so – but then descends from his high bench and pays the fine, as a friend. Justice is served – but the guilty man has been ‘redeemed’ from the full price of his crime, which would have been imprisonment. The story is in the end unsatisfactory. The problem is that if we see God as all powerful, we see him also as in a position simply to cancel the debt – something the judge in Gumbel’s story obviously could not do. The ordinary person finds it very difficult to square God’s infinite justice with God’s infinite mercy – but tends to believe that an infinite God could manage to do so – sparing his own son. The Gospels seem to support this difficulty. In explaining the ‘Kingdom of God’ Jesus tells the story of a king who cancels the debt of a servant, as an example of the forgiveness we should ourselves show one another (Matt 18: 23-35). The story of the father who welcomes back the erring prodigal son, without conditions, teaches the same lesson (Luke 15:11-32) – God does not hold back on his forgiveness. And it was especially for his habit of forgiveness that Jesus was accused. Since He taught us that when we see Him we also see the Father, we expect that Father to be as forgiving as he was. Maybe we are right to be dissatisfied with the satisfaction theory. There is another possible explanation for the crucifixion: that the Father and the Son both suffer for our sake: to release us from a captivity we could not otherwise escape from – the captivity of violence, the culmination of every other evil. In the ancient world there were broadly speaking two main sources of violence. One was warfare, brought about by the mimetic desire and ambition of warrior kings. The greatest of these was Alexander, King of Macedon, who built an empire reaching from Greece to the Himalayas and Egypt. His victories were unprecedented in the ancient world, and made him in the eyes of many, a God. We can see this as the fulfilment of the temptation offered in the Garden of Eden – ‘thou shalt be as Gods’. Julius Caesar set out to emulate Alexander in the century before Christ – and became indeed the founding God of the very empire into which Jesus was born. In the temptation in the desert, Jesus is offered an even greater empire, ‘the kingdoms of the world’, by Satan (Matt 4: 8-10) – but resists this temptation. He will not be a warrior king, like Alexander, Caesar, or even David – Israel’s greatest military hero. This must mean that he will be vulnerable to those whose power is based upon violence: the Roman government in Palestine. The second kind of violence in the ancient world was internal: the practice of scapegoating violence – the murder or expulsion of vulnerable individuals as a means of defusing internal conflict. To understand this we must simply grasp that the ancient world did not have advanced policing and judicial systems, like modern societies. This meant that a blow struck by one member of one tribe or family against another was liable to be reciprocated – and then to escalate uncontrollably. We are an intensely mimetic species – i.e. we often unconsciously mimic one another’s behaviour. Where there was no restraint upon this by a developed policing and court system, such mimetic violence – fuelled by the usual resentments that develop out of human competition, jealousy and rivalry – could escalate out of control. What happened then is well illustrated by the story of the woman ‘taken in adultery’ in St John’s Gospel – the woman brought into the presence of Jesus in the Temple Court. This woman would – in the normal course of events – be stoned to death by all who wished to participate. The selection of a vulnerable individual, shamed so that no-one would take her part, allowed all to defuse their anger in such a way that there could be no retaliation. In this way, one person could literally be made to pay the price for the aggression – i.e. the sins – of all. And a peace – temporary of course – would then fall. We should see this isolation, humiliation and intended murder of the woman ‘taken in adultery’ as a rehearsal for the very similar process soon to be mounted against Jesus himself. In the accusation and crucifixion of Jesus, both forms of violence come together – the violence born of internal rivalries, and the violence born of political ambition. Caiaphas insists that the death of this one man will ‘save the nation’ i.e. defuse an internal Jewish crisis threatening to undermine his own power. It will thus also prevent another Roman assault upon the Jewish people to restore order. The semi-riot he then foments persuades Pilate, the Roman governor, that Rome’s control is also at stake. At Gethsemane, Peter offers the standard riposte to violence – more violence. But a violent God can set only the same violent example as Caesar and Alexander, and the name of Jesus must stand far above theirs. His kingdom can only be built on forgiveness – and so the cup that he dreads cannot pass him by. The Father gives him the strength to stand alone – for the sake of en entirely different kind of kingdom – one for which no blow may be struck – either to win, or to retain, power. And one that will never sacrifice individuals for the sake of its own survival. Thus, the crucifixion brings humankind and God together – because it is God who first moves towards us. But we also then move towards him, because Jesus is human, and can therefore be imitated in his spirit of self-sacrifice – for example, by Maximilian Kolbe in Auschwitz. To sacrifice oneself for another is the very opposite of sacrificing someone else for oneself. Following Jesus, we move towards the Father. The early understanding of atonement: that it broke the power of Satan – can easily be reconciled with this – because the power of Satan does indeed culminate in violence – the violence of ambition, and the violence of victimisation. And the crucifixion did indeed break this power. Not immediately, of course. Traumatised by the persecutions of early Christians by Rome, the bishops of the Church made an unfortunate pact with another military adventurer in the fourth century – the Emperor Constantine. This was the beginning of the process by which the Church became itself a privileged and powerful – and victimising – institution in the medieval period. This was why St Anselm could not see the crucifixion as a protest against all violence – for Constantine too was supposedly the benefactor of the Church. Modernity has stripped away that power – as Pope John Paul I recognised with gladness. It is time the inadequate medieval theory of atonement – which argues, foolishly, that Abba is too proud to bend – was put to rest as well. Today, as we try to build a new Ireland upon the principle of forgiveness, not violence, we should see Jesus of Nazareth, and his Father – and the Holy Spirit that unites them – as the real founders of that ideal kingdom. And with him all those who were also innocent victims of political ambition. We too need to atone – to be spiritually, if not politically, ‘at one’ – in grief for all those we have lost. And all others can move towards God through Christ – all those driven by social and political humiliation to addiction, criminality and violence. In the kingdom of God no one is to be humiliated or left out in order to secure the peace of all the rest. There is another important reason for welcoming the insights of René Girard for the light they throw on the problem of atonement. The competing mimetic desire or covetousness that lies at the root of all violence is also the root of human over-consumption – the most important cause of Earth’s growing environmental crisis. Awareness of this is also in the gift of the Incarnation and the Crucifixion. This strongly supports Richard Rohr’s conclusion that Jesus’ life, teaching and death all tend towards changing our minds about God, rather than changing God’s mind about us – and towards warding off all of the dangers that gather around the future of humankind. This article is one of a series on the importance for the future of Catholicism and Christianity of the insights of the American-French scholar René Girard. 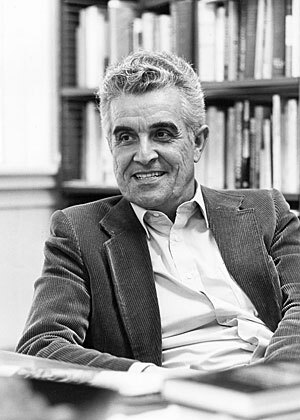 For an excellent overview of Girard’s understanding of the relationship between religion and violence, I recommend René Girard’s Mimetic Theory by Wolfgang Palaver, MSU 2013. Well done Sean. Your article really does shed a new and helpful light on the issue of Jesus’ atoning death. I think that one’s view of Atonement colours one’s whole view of God, prayer and spiritual life. We will be there, wait and see. But won’t, because that won’t do. It would be interesting to know if Jesus’s wrongful conviction and murder set any legal precedent that would protect and provide rights to those who wish to come forward to champion his cause. Example, if a like character or group were to come forward today, would they automatically inherit the ransom the church has been raising the last 2 thousand years for the protection of the ideals of this person/group. If an illumination were to be bestowed upon a person/group who placed themselves at the direct right hand of the father, like Jesus himself did, would he/she/they then inherit the material empire? How could they not? If groups can be shown to act mimetically in ways not favorable to Jesus’s teachings, then doesn’t their authority and all assets suddenly liquidate in theory? Thanks for this Sean. Teaching Magisterium please catch up! Most Christians were taught to associate the Incarnation only with Jesus’ birth 2,000 years ago. Yes, that was the unique and specific human incarnation of God, which Christians believe is found in the flesh and blood person of Jesus. That was perhaps when humanity was ready for a face-to-face encounter, what Martin Buber would call the “I-Thou” relationship. But matter and spirit have always been one, since God decided to manifest God’s self in the first act of creation. Modern science (especially quantum physics and biology) is demonstrating that this is, in fact, the case. Where does this endless drive toward life, multiplication, fecundity, creativity, self-perpetuation, and generativity come from, except from Something/Someone we call an indwelling “Spirit”? Unfortunately, many Christians believe that the motive for divine incarnation was merely to fix what we humans had messed up–which seems rather self-preoccupied to me. The “substitutionary atonement theory” of salvation treats Christ as a mere Plan B. In this attempt at an explanation for the Incarnation, God did not really enter the scene until God saw that we had screwed up. Creation was not inherently sacred, lovable, or dignified. And, further, God was revealed to be petty and punitive. At least theologians had the honesty to call substitutionary atonement a “theory.” But it has done much more damage than good, and we are still trying to undo this view of God and reality. 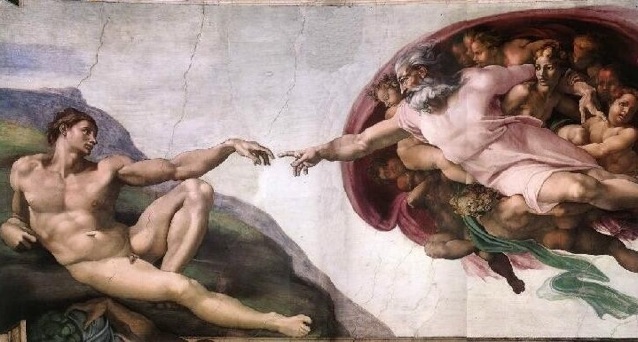 By the modern age, which seemed to read everything in mechanistic and transactional terms, most Christians acted as if the only real rationale for the Divine Incarnation was to produce a human body that could die and rise again. This is no exaggeration! It did not matter much what Jesus exemplified, taught, revealed, or loved. Things like simple living, non-violence, inclusivity–which are now proving necessary for the very survival of the species–were ignored. Christians focused instead on the last three days of Jesus’ life and his freely offered quarts of blood. Our narrow focus on this explanation for Jesus’ divine-human existence allowed us to ignore almost all of what he taught. Jesus became a highly contrived problem-solver for our own guilt and fear (a problem that was inevitable if God was not indwelling) instead of the Archetypal Blueprint for what God has been doing all the time and everywhere. Jesus became a mere tribal god instead of the Cosmic Lord and Savior of history itself (Colossians 1:15-20, Ephesians 1:3-14). Christianity ended up just another competing and exclusionary religion instead of “good news for all the people” (Luke 2:10b), which was the very first announcement at Jesus’ birth. We all lost out. Forgive me for stating this with such passion, and perhaps without subtlety, but the core message is at stake. Thanks for this, Martin. How bleak our horizon would be without Richard’s deep understanding and unflagging daily teaching.